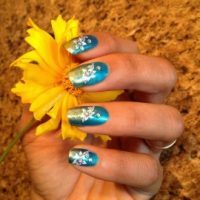 This water decals tutorial by Nails4Sanam is perfect with this her shimmery blue gradient. 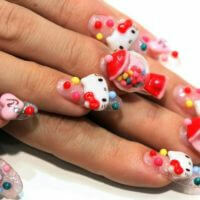 Perfect nails for Spring! 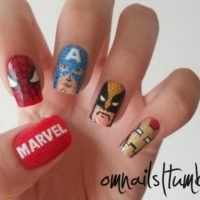 Want a super cool nail design that can be worn during the daytime or even in the club?? 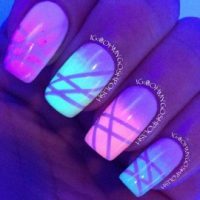 Try this glow in the dark gradient striping tape manicure by OhMyGoshPolish! 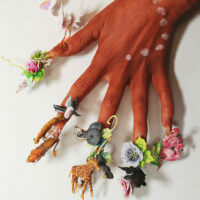 She used Ethereal Lacquer’s glow in the dark polishes for this design. 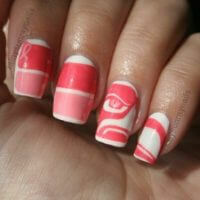 This Seattle Seahawks nail art tutorial by Kristin Day (rainysunraynails) is a twist on the normal Seahawks colors. 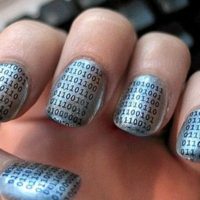 She used pink and white nail polish as a tribute to Breast Cancer awareness, and I love how it puts a girly spin on this NFL manicure! 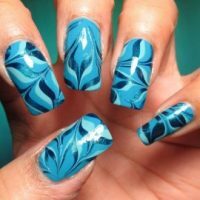 Such gorgeous colors in this Turquoise Water Marble nail art tutorial by My Simple Little Pleasures!